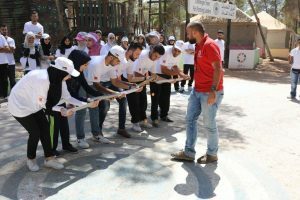 Orange Jordan announced its support for a training program for youth in Al al-Bayt University as part of Haqiq Initiative, one of the Crown Prince Foundation (CPF) initiatives, which lasted for three days, where a number of workshops and field visits took place. CEO of Orange Jordan Thierry Marigny said: “The partnership with Crown Prince Foundation is of utmost importance to us,” adding that this training is a major stepping stone to a long-term strategic partnership with the foundation, the thing which falls in line with the company’s vision and objectives, which focuses on supporting and developing the skills of Jordanian youth in the majority of governorates. Marigny affirmed Orange Jordan’s commitment to continuing being a main supporter and sponsor of the activities that aim to enhance the communication among the youth in different regions, adding that this new training program clearly translates the company’s vision within this framework. This training is part of Haqiq’s expansion program, which will be implemented by the Crown Prince Foundation in several universities in the coming period and will contribute to increasing the interaction and communication between young people and their local environments throughout Jordan. The initiative seeks to build young local leaders and promote the values of caring citizenship, as well as enhancing their role in local development through volunteering and community service, the thing which will help the youth in making a substantial difference in their skills and capabilities, in a way that would open a door for them and their communities to a better future. From her side, Dr. Tamam Mango, CEO at Crown Prince Foundation said that this partnership is a living model for joint work between development institutions and private sector institutions. It is expected that the coming period will witness the strengthening of many partnerships in a way that will enhance the work of the foundation. Mango added: “The idea of expanding Haqiq came to include university students, and falls in line with the foundation’s commitment to reach the largest number of young people from different governorates and age groups, ensuring equal chances of opportunities for development and skill advancement in their positions at work, in addition to offering them opportunities to enhance their leadership skills, which will enable them to support and play a role in serving their communities. The signing of this agreement comes as part of Orange Jordan’s interest in strengthening the links between the youth and local communities, as well as keeping students aware of everything that is essential to them, the thing which falls in line with its corporate social responsibility plan that stems from the company’s five-year corporate strategy “Essentials 2020”. ضمن إطار سعي صندوق المرأة للتمويل الاصغر الدائم نحو تقديم الخدمات وتوفير المعلومات المستجدة عن خدماتها المتنوعة المقدمة للمرأة ولتسريع عملية الاتصال والتواصل مع كافة المعنيين والمهتمين فقد قامت الشركة بتحديث وتطوير الموقع الإلكتروني الخاص بها على شبكة الإنترنت بالتعاون مع ايكو تكنولوجي تحت النطاق www.microfund.org.jo، بحيث يتضمن أحدث التقنيات من ناحية التطوير، والتنفيذ، والتصميم. يتميز الموقع الالكتروني الجديد للشركة بإمكانية وصول بكل سهولة ويسر للاطلاع على كافة نشاطاتها وبرامجها ومتابعة إخبارها والتواصل معها عبر المشاركات والاقتراحات والتعليقات الإيجابية التي تصب في مصلحة المنتسبين والمنتفعين من نشاطات الشركة. كما يقدم موقع شركة “صندوق المرأة للتمويل الأصغر” شرح مفصل عن برامج التمويل الجماعي والفردي، مع إمكانية التسجيل للحصول على تمويل من خلال الموقع الالكتروني. ويتضمن الموقع الالكتروني الرؤية والرسالة، الجوائز، التقديرات، الخدمات، قصص النجاح، المركز الإعلامي، وشبكة الفروع بحيث يقدم الموقع الالكتروني أسماء الفروع الستين، مواقعها وجهات الاتصال بها. 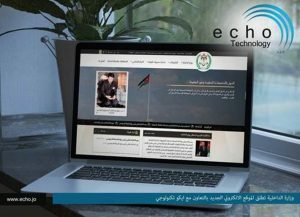 يقدم الموقع الالكتروني جزء مخصص لأكاديمية صندوق المرأة للتنمية البشرية والتي تهدف الى تدريب أعضاء الفريق والمستفيدات في مختلف المجالات. 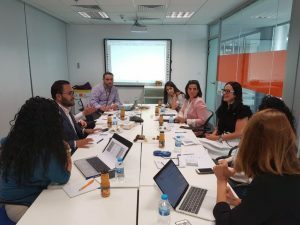 Orange Jordan recently launched its local version of Orange Social Venture Prize , targeting innovative ideas by young entrepreneurs that meet the needs of communities in various areas, as the registration for the award began last March. A committee consisting of juries who are experts in the field of entrepreneurship, selected nine startup companies from the pool of applicants to participate in the final stage who are going to present their projects before the committee of which three will win cash prizes, along with the opportunity to participate in a competition for the global award, which will be held in November 2018. Orange Jordan is proud to launch the local award for the second consecutive year with an aim to support startup companies contributing to social and economic development, not to mention their active contribution to digital transformation. The company also commits to supporting entrepreneurs who are keen on improving these categories in Africa and the Middle East, as Orange Jordan is confident in their creative ideas, which are positively reflected in the community. Speaking on the occasion, Eng. Rana Al Dababneh, Director of Public Relations, Corporate Social Responsibility (CSR), and Corporate Communication at Orange Jordan, said: “We are very proud to launch the local version of the Orange Social Venture Award for the second year, as it will benefit entrepreneurs, and we are confident in the ideas and innovations of the companies participating in the award”. It is worth mentioning that the jury consists of: Valentina Qussisiya, CEO of Abdul Hameed Shoman Foundation (AHSF), Deputy Executive Vice President of the Jordanian Hashemite Fund for Human Development (JOHUD), Mohammad Al-Amoush, CEO of The Information and Communications Technology Association of Jordan (int@j), Eng. Nidal Bitar, Mais Al-Daoud, Director of Strategy & Partnerships at the Crown Prince Foundation (CPF), and the pioneer Fida Taher, all of whom expressed their gratitude for being part of this event, and how proud they are with this award and Orange Jordan’s support for Jordanian entrepreneurs. Orange Social Venture Prize is in line with Orange Jordan’s corporate strategy, “Essentials 2020” which aims to shed light on local talents and invest in them, particularly entrepreneurs whom Orange Jordan is committed to supporting through offering training programs, financial support and expertise to help transform their ideas into reality and contribute to the development of the local community. 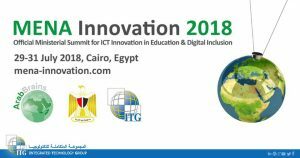 This year, Integrated Technology Group (ITG) will participate as a branded partner in the official ministerial summit for ICT innovation in education and digital inclusion “MENA Innovation 2018” which will take place in Cairo, Egypt on the 29th until the 31st of July. The MENA Innovation summit will bring together ministers, senior government officials, and universities from across the MENA region and African countries, which will create the perfect opportunity for (ITG) to present the newest version of the global award winning, Comprehensive e-Learning Platform for K-12 schools and Universities EduWave®, serving more than 15 Million users over 50 Thousand education institutes with three country wide deployments, EduWave® is the most powerful and complete educational platforms that assist schools and school districts become more efficient, effective, and productive. As the only SAP partner in the Arabic-speaking world, SkyTech has been awarded the status of “SAP Recognized Expertise in SAP Business One”. By awarding this honor, SAP acknowledges the success of SkyTech customer projects and the comprehensive know-how and many years of experience of the international provider of SAP ERP business consulting and implementation services. SkyTech has been a full-service provider in the Enterprise Resources Planning (ERP) field for over 5 years today. Down through the years, SkyTech – which employs over 22 consultants that cover all the modules in SAP Business One, SAP Addons development and SAP Analytics and BI– has evolved to become the leading specialist for high-end ERP transformation. The SAP seal of approval highlights that the entire life-cycle of employees is covered – everything from the business-management and conceptual aspects right up to technical implementation and subsequent support. 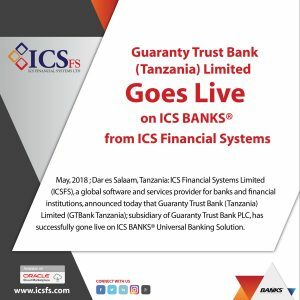 Dar es Salaam, Tanzania: ICS Financial Systems Limited (ICSFS), a global software and services provider for banks and financial institutions, announced today that Guaranty Trust Bank (Tanzania) Limited (GTBank Tanzania); subsidiary of Guaranty Trust Bank PLC, has successfully gone live on ICS BANKS Universal Banking Solution. GTBank Tanzania received its license in 2016, to offer commercial banking services in Tanzania, which by that, embraces Tanzania to be the 11th country that Guaranty Trust Bank PLC marks its footprint in. 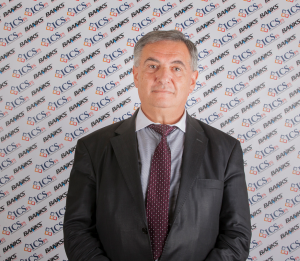 ICS BANKS provides a complete suite of banking business modules with a rich sweep of functionalities and features, addressing business needs and automating accounting processes, as needed, to improve a bank’s business performance. ICS BANKS has always been a pioneer in utilizing the latest technology to serve financial institutions. In addition to its embedded Service-Oriented-Architecture (SOA), the system is deployed in a multi-tiered setup that runs on a web thin client. 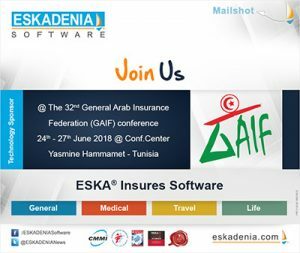 ESKADENIA Software, the leading Jordanian-based provider of world-class software products and services, will participate in the 32nd General Arab Insurance Federation Conference (GAIF 2018); this biennial conference will focus on the “digital transition in the Arab insurance industry”. And will take place from 24th to 27th June 2018 in Hammamet (Tunisia). ESKADENIA Software will support the summit’s organizers and attendees with a wide range of products linking all conference details, agenda, speakers and sponsors by activating ESKA® Mobile App on IOS and Android phones. 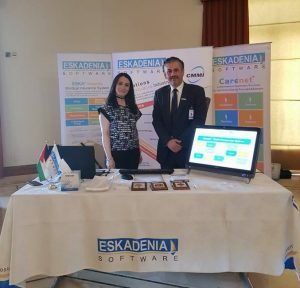 ESKADENIA Software will showcase, under the title “Towards Digital Transformation”, its wide range of comprehensive insurance software products, consisting of ESKA® Insures (General, Medical, Life, Travel, Broker Management System, Banc-Assurance , and E-Insurance Systems), Management Information System, in addition to advanced Financial, Human resources, Customer Relationship Management, Workflow and Document Management Systems through demo sessions, presentations and business meetings with focus on internet and mobile technologies. 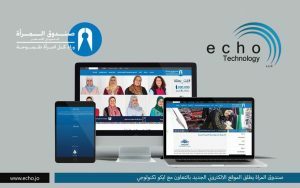 انسجاما وتنفيذا للتوجيهات الملكية السامية المتضمنة مواكبة التطورات التقنية والادارية والفنية في شتى ميادين العمل العام، فقد حرصت وزارة الداخلية على ترجمة هذه التوجيهات الى واقع ملموس عبر تحديث الموقع الالكتروني لوزارة الداخلية بالتعاون مع ايكو تكنولوجي. In recognition of the Holy Month Ramadan, ESKADENIA Software hosted Ramadan Iftar Banquet for all its employees and their families as part of the company’s effort to enhance teams’ spirit and communication. The Iftar was held on May the 29th, 2018 at Karam Beirut Restaurant – Amman, and the group enjoyed the entertaining oriental melodies during the evening. Managing partners & founders of ESKADENIA Software Mr. Nael Salah & Ms. Doha Abdelkhaleq joined the annual Ramadan ritual along with ESKADENIA Software family and team to wish everyone peace and prosperity years ahead. شاركت شركة اسكدنيا للبرمجيّات، الرائدة في قطاع تكنولوجيا المعلومات والبرمجيّات، في “مُؤتمر الإبتكار والإبداع الصحي” التابع للجمعيَة الأردنيَة للتأمين الطبي (JAMI). حيث عُقد المُؤتمر في 12 و 13 أيّار في فندق هيلتون – البحر الميت، الأردن. هذا وقدمت شركة اسكدنيا للبرمجيات عروض حيّة ومُتكاملة لاثنين من مُنتجاتها أثناء فعاليات مؤتمر الإبتكار والإبداع الصحي؛ نظام التأمينات الصحيّة ونظام كيرنت للرّعاية الصحيّة. كما يقوم نظام التأمينات الصحيّة بدعم عمليات التأمين سواءً كانت لشخص أو لمجموعة، أما بالنسبة لنظام كيرنت للرّعاية الصحيّة فإنه يوفر حلولاً لإدارة المُمارسات الطبيَة من منظور الأقسام الماليَة والإداريَة والتنظيميَة التي تُستخدم من قبل المُستشفيات والعيادات والمُختبرات والصيدليات ومراكز الأشعَة على نحو فعَال. فإن كلا النظامين هم عبارة عن مجموعة من التطبيقات والوحدات البرمجيَة المتكاملة.